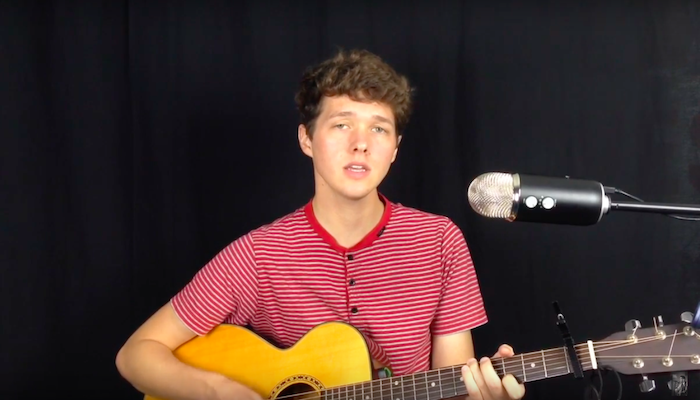 After returning home from a two-year mission for The Church of Jesus Christ of Latter-day Saints, McKay decided to start his own YouTube channel, McKay Hatch Music, to pursue his passion for playing guitar, singing, and songwriting. His channel includes videos of original songs he has written, along with covers and collaborations with other artists, including Madylin Paige (a former contestant on The Voice). Even before starting his YouTube channel, McKay wrote two songs, “You Can Do Anything,” and “Let’s Work It Out,” which were released in 2009. Both are available on Spotify. McKay explains that these songs, as well as music in general, were a way to help him overcome his obstacles and maintain his sanity while he was receiving so much backlash for starting the No Cussing Club as a high schooler. Since then, he has written more original songs, including “One Last Hug,” “Myself,” “Now I See,” and others. McKay’s style is reminiscent of Jack Johnson and Jason Mraz with a dash of country. McKay Hatch is no stranger to the spotlight. He was best known throughout his high school years for starting the No Cussing Club, a group he started in 2007 when he challenged his high school friends in California to stop swearing. The club grew exponentially, causing McKay to be recognized on television shows such as Dr. Phil and The Jay Leno Show along with news channels like CNN and Fox News. He received a lot of positive support along with a lot of negative attention. In fact, he was the target of some major cyber bullying. He and his family received thousands of death threats by email. At one point, someone sent $2000 worth of pizza to his door that his family had to pay for.